Here it is! Der Wiener Produzent Brenk Sinatra droppt sein Remix EP zum kostenlosen Download! Hört euch hier die beiden Remixe zu Co$$ – “Spaceman” und TRAE X HAWK – “SWANG” an, falls ihr bisher noch nichts von ihm gehört habt und lasst euch überzeugen! Den Download gibt´s hier! With his brand new Remix-EP, Brenk Sinatra makes a long standing wish come true to give some of his favorite artist his distinctive Brenk Sound. 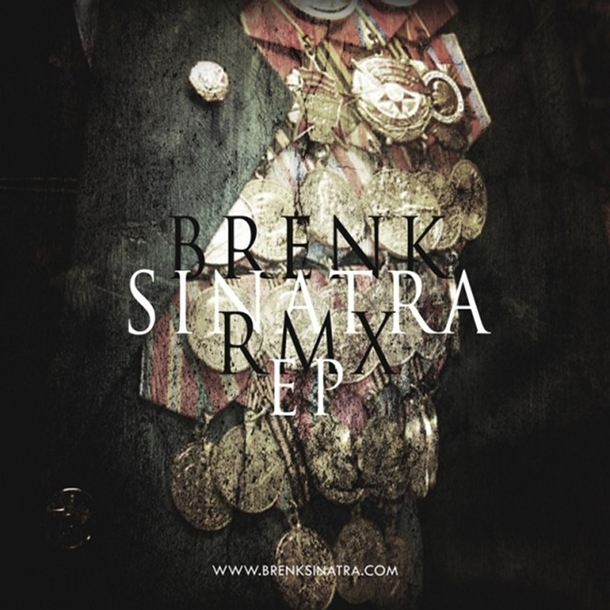 Featuring rap legends like Outkast, UGK, Devin the Dude and many more, Brenk Sinatra again proves his musical complexity: the variety of musical influences and elements ranges from orchestral, horn-driven beats (Piggy Bank) to mid 70’s soul bangers (Intl. Players Anthem), to relaxed screwed-up sounds taking you straight to Houston (What a Job). “S3″ produziert hat, auf Tour! Alle Berliner können bis Donnerstag noch hier Gästelistenplätze abstauben!